Last August, when director Bryan Singer was busy filming X-Men: Days of Future Past in Montreal, FOX invited a few online reporters to visit the set. As someone that grew up reading X-Men comics, and remembers being captivated by Chris Claremont’s Days of Future Past storyline in X-Men #141 and #142, getting to see this story come to life was an amazing experience and one I’ll never forget. For those not familiar with the story, the movie finds Wolverine (Hugh Jackman) having his consciousness sent back to 1973 in order to help Professor X (James McAvoy), Magneto (Michael Fassbender), and the rest of the X-Men: First Class crew stop the rise of the Sentinels, giant robots programmed to exterminate mutants. The film also takes place in the future, so we’re going to see the original X-Men cast and what will happen if Wolverine fails. 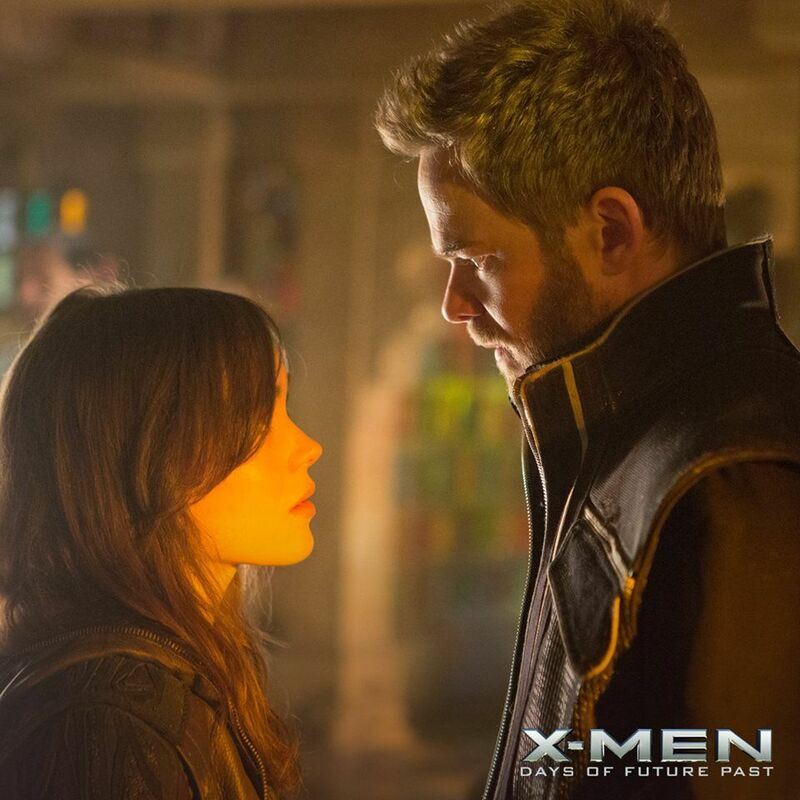 Trust me, Days of Future Past is a very cool storyline, and a perfect way to have the old and new cast in one film. While on set, I got to participate in group interviews with the cast and filmmakers. While everyone was careful not to reveal any major spoilers, they did provide us with a ton of interesting behind-the-scenes information and a lot of details about the film. 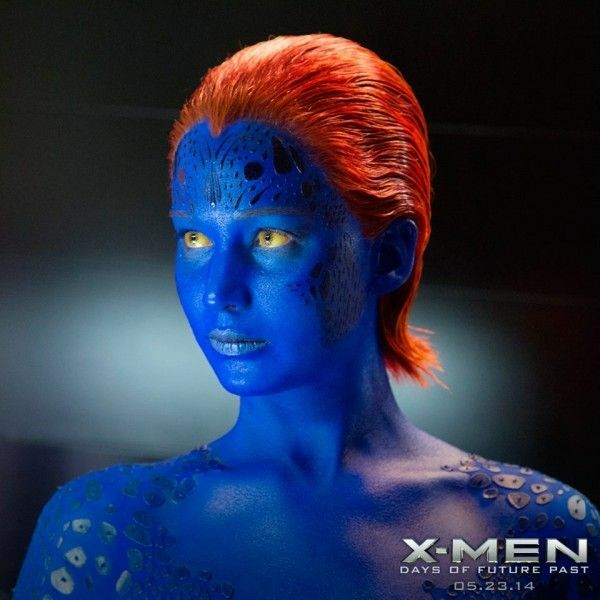 So if you’re looking forward to X-Men: Days of Future Past, hit the jump for my list of 90 things to know about the film. The film also stars Jennifer Lawrence, Ellen Page, Peter Dinklage, Shawn Ashmore, Nicholas Hoult, Halle Berry, Patrick Stewart, Ian McKellen, Evan Peters, Lucas Till, Evan Jonigkeit, Josh Helman, Adan Canto, Anna Paquin, Booboo Stewart, Daniel Cudmore, Omar Sy, and Bingbing Fan. The production is shooting 70% on soundstages and used 39 sets and 26 locations. Writer-producer Simon Kinberg says that as they were writing, it just made the most sense for Wolverine’s character to be the one traveling between time periods, because of his ageless look and ability to physically heal. The movie opens in a partially destroyed futuristic Moscow. 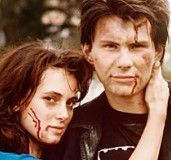 While some of the cast worked the entire time, others only spent a few days on set. Here’s what some of the cast worked: Anna Paquin (5 days), Patrick Stewart (3 weeks), Ian McKellen (3 weeks), Halle Berry (7 days), Shawn Ashmore (a few weeks), Ellen Page (3 weeks). Keep in mind, days on set correlates to how much screen time they’ll have. Originally, Halle Berry had another scene in the film, but due to her limited schedule it was cut. The same goes for Anna Paquin. Singer is using two different looks for the film. The future is very dark while the past is brighter. The film will cut back and forth between the two time frames. The last 25% of the movie is non-stop action. While the Sentinels in the past are dangerous, they are deadly in the future. The only way to take them on is with the whole group fighting together. The film focuses on Charles (McAvoy) more than anyone else; he’s the protagonist. The movie will explain how Charles can walk again (It’s with the help of Hank), but his walking comes with a cost. 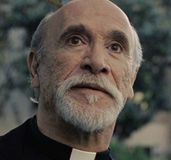 Chris Claremont cameos in the film. If you’re not aware, Claremont wrote the original storyline in the comic. The film has a number of intense dialogue scenes that are 4 to 5 minutes each. When you change something in the past it doesn’t immediately change the future. It’s more like Back to the Future. Singer had about 50% of the film done with pre-viz, but none of the dialogue scenes used pre-viz. 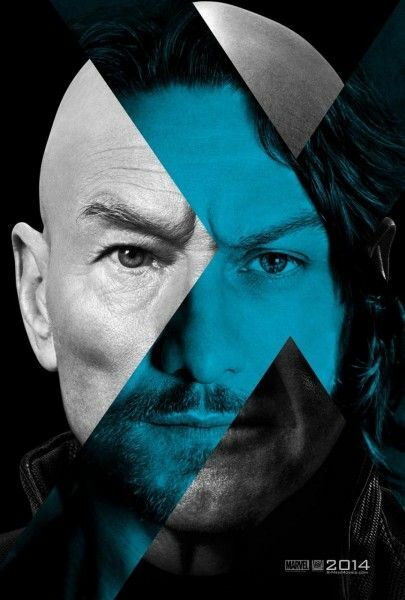 Unlike Patrick Stewart’s portrayal, McAvoy will play a darker, grittier Professor Xavier, in the angst of his youth, before he eventually matures. This film will be darker than First Class, and possibly darker than any of the previous X-Men films. The primary difference between the comic storyline and the movie is it’s not Kitty Pryde that goes back in time, it’s Logan. Production Designer John Myhre hid a bunch of X’s on the sets of the film. One of the prominent ones is on a staircase in the X-Mansion. Singer says that there’s a recap of characters and some explanation of characters, so people who haven’t seen X-Men before can also enjoy this film. Singer says he knew that they would be able to do the movie the way he wanted when Patrick Stewart and Ian McKellen agreed to join it. Singer is a huge fan of Game of Thrones and of actor Peter Dinklage, and that inspired his casting of Dinklage for this film. Due to the difficulty of making time travel films, he had to come up with a philosophy and set of rules for it in the film before production so that the story could feel as plausible as possible. Most of the film is shot in 3D. With the phantom technology on the set, Singer says they can shoot at around 3,000 frames per second. 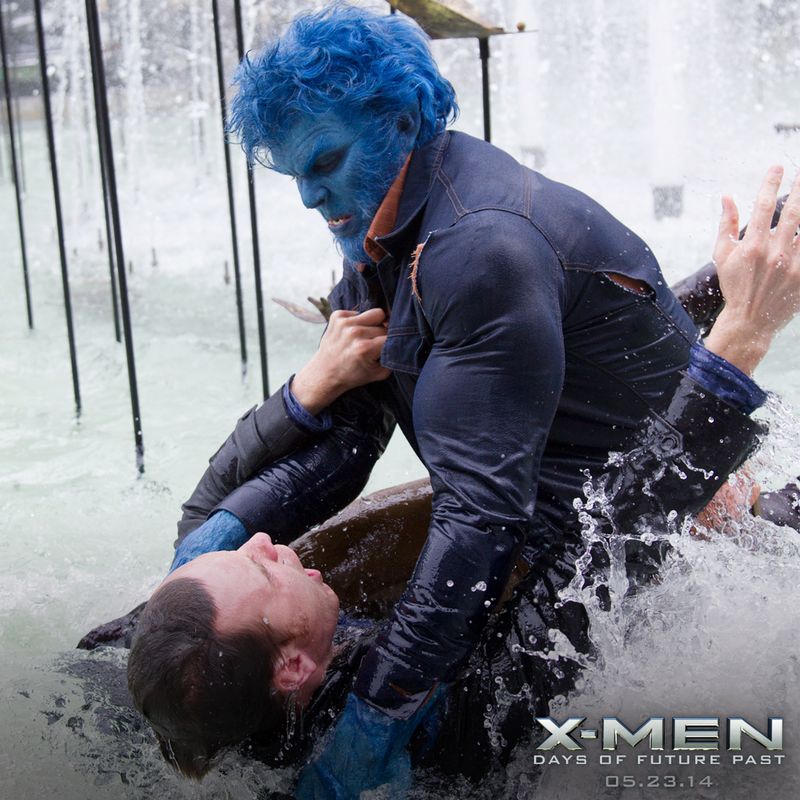 Using simulcam, Singer was able to do special effects he couldn’t have done on X-Men and X-Men 2. Producer Hutch Parker thinks X-Men: Days of Future Past will have over 1,000 VFX shots. Production Designer John Myhre, who did the first X-Men movie, is back for Days of Future Past. He didn’t work on any of the other X-Men films. 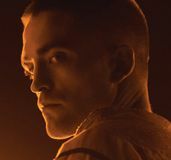 Singer was editing the film during production, so if he found something missing or a close up that he needed, he could attend to it immediately instead of waiting for the reshoots. They came up with new ideas for the third act pretty far down the line of development, and during production they figured out a new element they wanted to add to the Quicksilver sequence. No sets from X-Men: First Class had to be recreated for the sequel. Myhre wanted to embrace the 70s in this film the way First Class embraced the 60s. The scale of the future-set sequences are on par with an entire movie, even though that’s only a portion of this film. The development and design of the film was done on an accelerated schedule because, in order to accommodate that large cast’s individual schedules, filming had to begin in April 2013. In designing the first Sentinels, Myhre wanted to use the 70s-style design of molded plastics. One of the sets is an ancient Chinese monastery that is supposed to be located in the hills of China. A lot of the movie is extended through digital sets. They only had the time to build a section of the Chinese monastery set. Singer says that he doesn’t really like or prefer to see films in 3D. Singer is naturally shy on social media, but he decided to get on Twitter to honor the fan base, and share the experience with them. Singer says that everyone is excited for the early May release except for Richard Stammers, the film’s visual effects supervisor. Nicholas Hoult says that playing roles with heavy makeup like Beast, you have to be willing to take risks and do things that would be very silly and embarrassing without the makeup and costume. Unlike X-Men: First Class, Hoult says that Singer’s directing style is more malleable, and he goes more by feel than rigidly sticking with the original script. In one of the scenes, James McAvoy unexpectedly punched him in the crotch to mess with him. Hoult says that, now that he’s been to Comic-Con and he feels the pressure of the fans, he has to be extra focused and clear-headed on set, because fans have such high expectations. Says that he, Ian McKellen and Patrick Stewart are impressed with the way that Michael Fassbender and James McAvoy have portrayed Magneto and Professor X, respectively, and that they’ve brought out a lot of depth in the relationship through their younger dynamics. 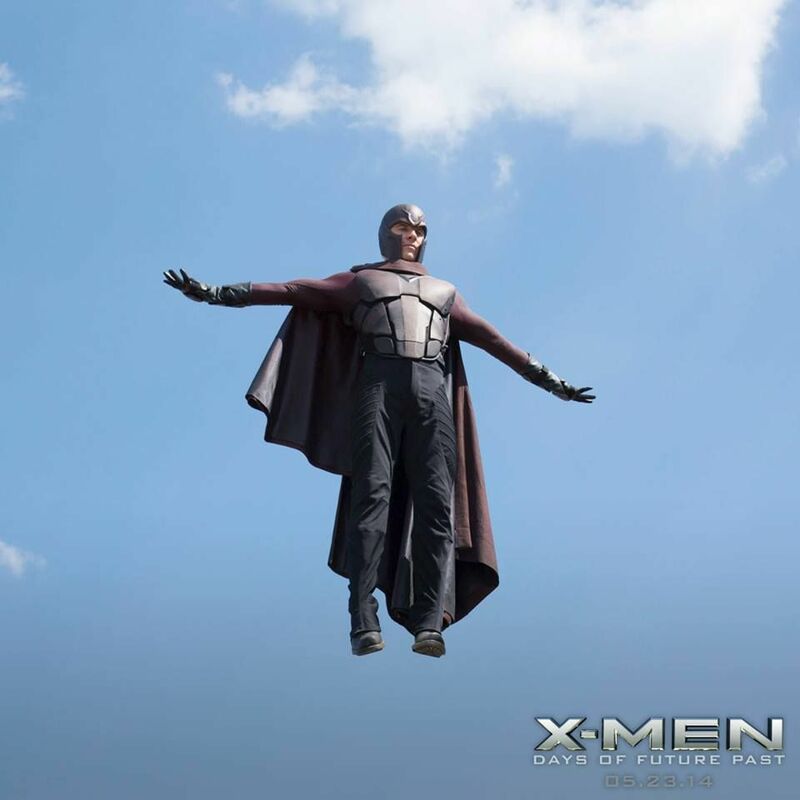 Jackman and Singer both affirm that the future atmosphere with the Sentinels creates a bad situation that is dire for the X-Men. Jackman says the storyline is “phenomenal” and will silence the cynics. Jackman says he will play Wolverine as long as filmmakers will let him, but only if the new script ideas for future projects are even more compelling to him than previous projects. Because Jackman had more time to physically prepare for this film, it was his first Wolverine film that he started without injuries. Jackman says that the cast of the film goes out to restaurants as a group sometimes, and likely intimidates the public because they’re a loud, social group. During the filming of X2, Jackman and his son both went trick-or-treating as the Wolverine. McAvoy says he is nothing like Patrick Stewart, which works for his character’s development in this particular film. It hasn’t been decided yet exactly why Xavier loses his hair, but McAvoy says that it has to be for a very intense reason, and not just for the frivolity of changing his look. McAvoy says that his character is more emotionally dark in this film, and resembles of child of the 1970s and its psychedelic antics. 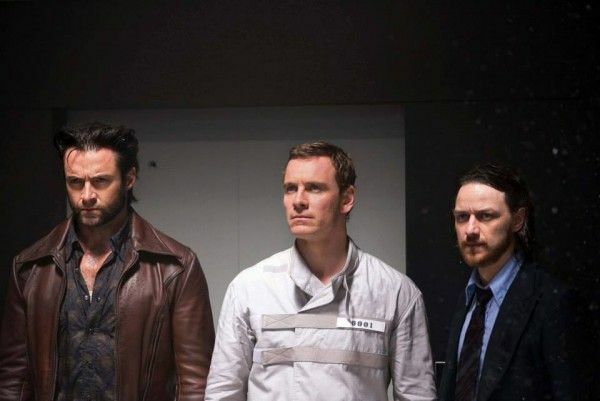 There is a unique character reversal in this film, where Wolverine is like a mentor to McAvoy’s Charles Xavier, who is like an angry, young Logan. Argues that he didn’t punch Hoult in the balls because he was angry with him on set, but that he did it to get him to pay attention in an important scene. There was a scene that got cut from First Class where Xavier manipulated another character to imagine Fassbender’s Magneto as a transvestite. McAvoy enjoys the fact that there are so many leading actors and characters in this film because it relieves the pressure on the whole cast. While the actors may have some relief from the pressure, screenwriter Simon Kinberg says the biggest challenge is storytelling in this film because there are so many main characters. Kinberg says that his favorite time travel films – and the films he studied the most to make Days of Future Past – are Back to the Future and the first two Terminator movies. Professor Xavier finds a way to use his legs again in this film, but ends up eventually choosing the chair instead. Part of the arc of his character is that he chooses to be in it, rather than feeling condemned to it. Kinberg says that the biggest focus of this film was the future of the X-Men universe, because with the use of the old cast members and the new ones, they have to decide where the sequels will go. Kinberg wrote shorter parts for Halle Berry and Anna Paquin since both actors did not have much time to be on set. 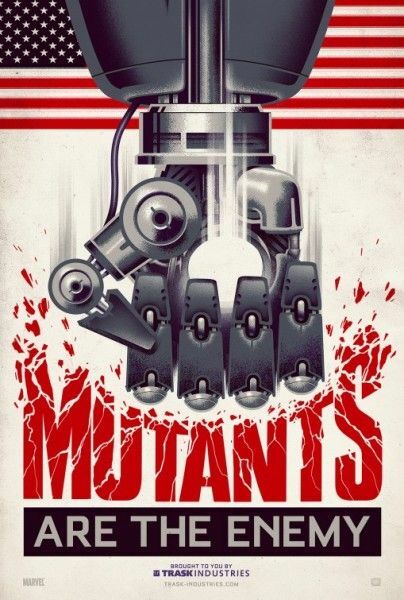 Trask and the Sentinels will be the villains of this film, and the X-Men will try to go back in time to defeat the Sentinels. In the production art room, the futuristic solider designs were done by the artist Jock. Donner says that, while Vaughn made X-Men like a Bond movie with First Class, and Mangold made a noir with Wolverine, Bryan Singer is bringing back “classic coke” by reuniting the classic cast from the franchise. Donner has been heavily involved in all seven X-Men films, particularly the casting. 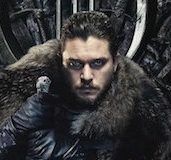 Says it was very difficult to schedule in McKellen and Stewart with all of their stage acting, and Peter Dinklage with his commitment to Game of Thrones. Like Marvel has, Donner confirms that Fox is working to lay out a timeline for future X-Men projects including sequels, spinoffs, etc. Confirms that there is an awesome script for a Deadpool standalone movie, but she thinks it should be low budget. Donner says the studio has to be careful to avoid too many comic book films in a short period of time, especially with Marvel being so aggressive. Insists that, even in the most recent Wolverine film posters, Hugh Jackman’s body is real and not photoshopped. Donner says that she and Bryan have mainly argued over the tone of all X-Men films, in that he always wants them to be darker, and she wants there to be lighthearted moments. Confirms that they’re not only talking about the next X-Men film after this, but more films to come.